Had enough of Cod, how about some Plaice fishing? Plaice fishing is not something that you would normally associate with winter fishing, however we seem to be having a bit of a run of Plaice down at the Portland end of Chesil. This is not that unusual, all that is happening is that the Plaice, like many other species like to shoal up before heading to their spawning grounds. Why they shoal up down around Chesil Cove is a mystery to me. but they do and they can be found all the way to the other side of the bird sanctuary at Ferrybridge. Several anglers I know have had catches of plaice recently, whilst they have been Cod fishing, so they are taking pretty big baits. I am sure of you scaled down to a single large lugworm or Ragworm, then your catch rate would increase. You can see in this picture from Dean Rook, just how plump and healthy they are looking at the moment. I am sure many of you are more interested in the Cod fishing, so let me put you out of your misery and tell you all what I think. We are in for a bit of a blowy session today, but it is coming straight out of the East. This will have the effect of flattening Chesil out. Unfortunately this is far from ideal Cod conditions, especially when you combine it with smaller tides, your chances of catching Codling are much reduced. Hence the title of the post. It is better to think about what other option are available. Plaice seem to prefer calm conditions, so a trip after them is more likely to produce than going solely for Cod. One option is to take advantage of the strong easterly wind and had for Preston Beach. I know it is late in the season, but you are almost guaranteed a Bass in that surf. They will take Lug and Ragworm, as well as Squid and the more expensive Peeler Crab baits. The biggest mistake with Bass fishing is over casting. Bass love to feed close in, so any cast over 40yds is going to miss 90% of the fish. Another option this weekend is a trip to Poole. The Flounder fishing is really kicking off there. You can read Leo’s report further on in the post if you fancy a change of scenery. I have spent most of this past week fishing on a number of boats. One of my highlights was catching some squid, just outside Weymouth harbour. Now I am no expert of squid fishing, but I know a man that is; Thankfully he has agreed to write and article for us for next week. One of the main limitations of the current version of our website is that releasing multiple articles in one day means that many articles will get missed. This is a real shame as at the moment I have loads of different articles all ready to go. We will be rectifying that in our new look site, when it comes online. In the meantime, I have used our sister site to launch a article relating something dear to my heart, safety whilst fishing. If you get time have a look at the latest article on why fishermen don’t wear life preservers I will follow this up in the next couple of weeks with a comprehensive look at life preservers and floatation suites. Chesil Beach: 1m swell and clear water. Portland: Small swell, with clear water. Chesil Beach forecast: I know everyone is desperate to get out and try for Cod again this weekend, but I don’t think it will fish that well for them. It should be ideal for Whiting, and I would be surprised if we didn’t see some decent sized Pollock. This is the time of year that they normally show, and it is not unusual to catch them over 5lb. They like fish baits, especially Mackerel. As usual I normally target them during the day, as once the light fades, mackerel baits bring in lots of Dogfish. I mentioned earlier that we are seeing a number of Plaice from the Ferrybridge and Portland end of Chesil. This should continue for a couple of weeks before they move off. If you do decide to go for Cod, then I would recommend trying to get hold of Peeler Crab. They are far more likely to draw the fish in when conditions are like they are at present. You always stand good chance of picking up a late Smoothound or Bass on Peeler. Portland: Happy to report that there seems to be a lot more Pollock from the rock marks than there has been all year. It has been a bad year so far for Pollock, but this change in temperature seems to have done the trick. The best method of targeting Pollock is with lures. Dawn and dusk are normally the most productive times. Unfortunately those times do not coincide with high water, so marks such as Portland Bill, will not be as productive as Chesil Cove or Church Ope Cove. Portland Harbour: It is not only Poole that produces Flounder! Portland Harbour can often produce good numbers of decent sized fish. 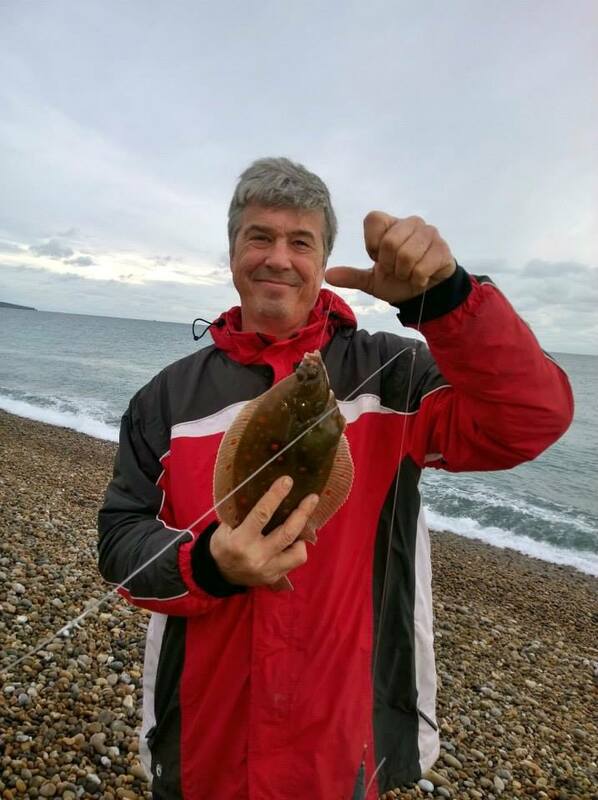 If you are fed up of fishing Chesil and fancy an easy change then marks such as Hamm Beach and all along the back of the Rodwell trail to Sandsfoot Sailing Club will produce Flounder. You have a high chance of picking up a Bass as well. Weymouth Bay: There is a lot of coloured water coming out of the harbour, due to the recent rains. This will effect Flounder and Squid fishing, whilst the tide is ebbing. However give it an hour or so into the flood and the water should clear, allowing those species to move in closer to the piers. Beach repair work has started at Shore Road. Huge amounts of sand had been washed away during the winter storms of January and February. 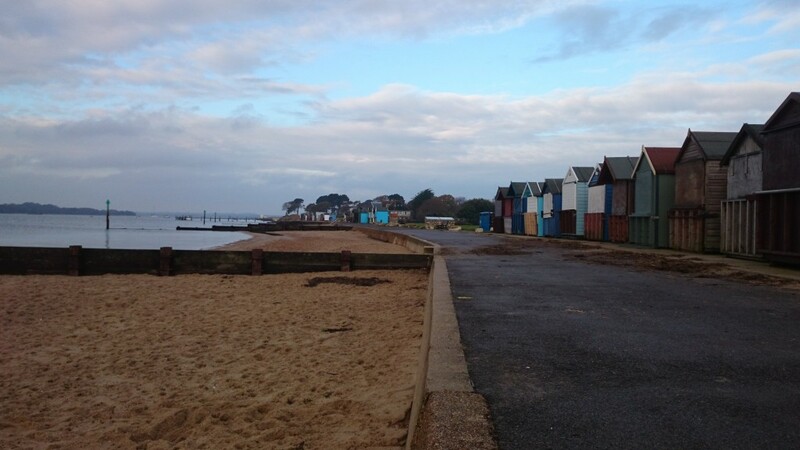 To replace the sand washed away from the beach, a dredger working in the Swash channel outside of Poole Harbour has been pumping hundreds of cubic tons of sand and water back to the shore. This sand is then bulldozed around the beach and flattened out. Mixed in with this dredged sand and mud will be thousands of marine worms shellfish, prawns shrimps,and small fish all caught up in the dredgers massive scoop. This nutrient rich soup is then pumped back onto sandbanks beach. Where some or most of this mix will be washed back into the sea. This must create a groundbait of truly epic proportions. Similarly the same work was carried further east towards Bournemouth pier a few years ago around Christmas. The end result was the beach fished it’s socks off!! Good numbers of bass flounder ray and sole were recorded right through January and February unusual for the time of year. The area where construction taking place is closed to the public and is running 24/7. However if you fished downtide of this area. (to the right looking at the sea on the incoming tide and to the left of the site on an outgoing tide). 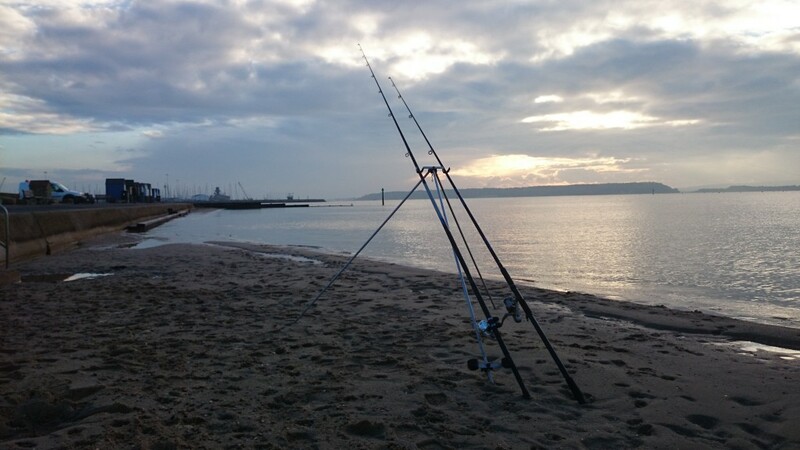 All venues inside Poole harbour should fish well this weekend. 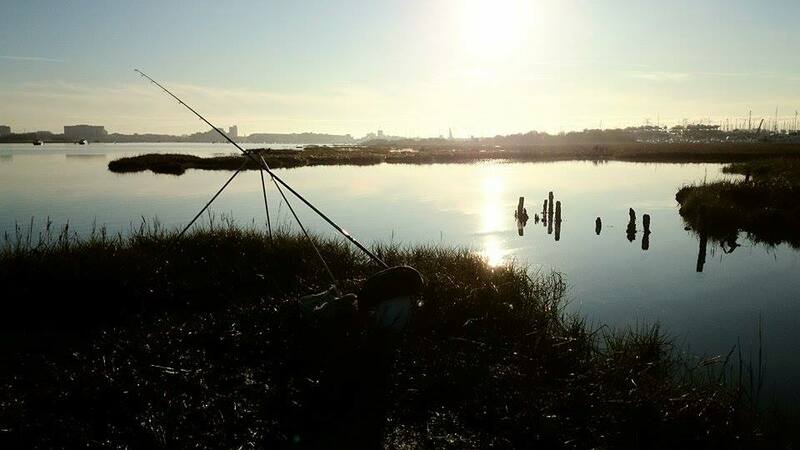 Evening hill has fished particularly well during the week with bags of up to 8 flounder per person per session. This weeks flounder league at baiter weighed in over 81 fish between 71 angler’s. there were quite few undersized flounder landed. other catches included a 3lb seatrout and a large pollack. 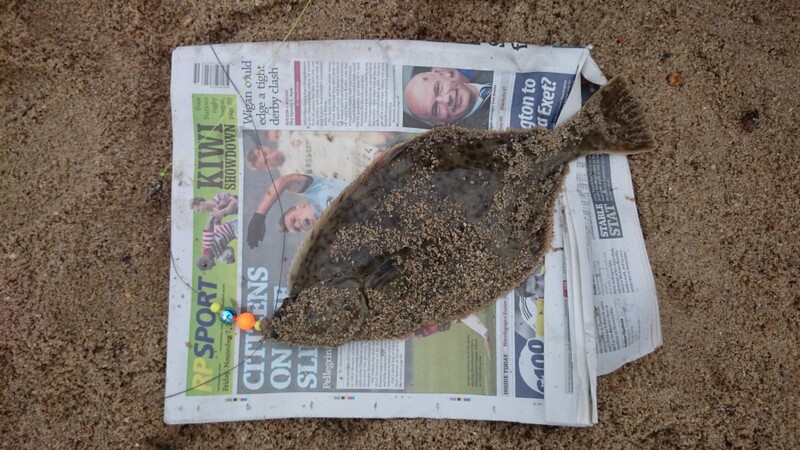 Fishing Tails > All Articles > Reports > Chesil Beach > Had enough of Cod, how about some Plaice fishing? 2 Responses to "Had enough of Cod, how about some Plaice fishing?" Great idea re fishing the Poole beach repair on shore road. Went out tonight, bloody horrible out there! 1 question, are you sure downtide’s to the left of the works on the outgoing tide. I was just there, definitely outgoing tide, fishing just in front of jazz cafe and it was pulling like hell to the right, ie towards the works. Maybe cos the wind was quite strong. Lovely spot though. Those thoughtful workmens lights are so strong you dont need a torch! I will check with Leo on that Toby.